DIY Layered Sand Succulent Planter – Prairie Gardens Garden Answer. Learn how to DIY with Prairie Gardens supplies and this video detailing all the incredibly easy steps. Oh, Mister Sandman, these are a dream! 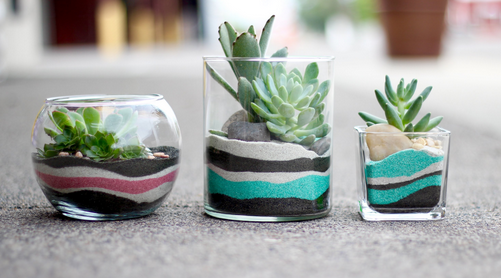 We’re all about these Layered Succulent Planters from Garden Answer. Learn how to DIY with Prairie Gardens supplies and this video detailing all the incredibly easy steps. Follow Garden Answer on Facebook, Instagram and twitter for more great garden projects. Pick out your favorite glass vases & colored sand in our floral deparment. And visit our houseplant room for fresh succulents.